Caloundra Lighthouse – New | Lighthouses of Australia Inc. The new Caloundra Lighthouse was short-lived in comparison to its predecessor, due to its light being obscured by the growth of high rise buildings in Caloundra. The First Caloundra Lighthouse was established in 1896 and was the typical Queensland tower; a timber frame with metal cladding. In 1967 a new lighthouse, signal tower and radar station was erected for the Caloundra Harbour was erected next to the old lighthouse on Canberra Terrace. The old light was discontinued in 1968 and later shifted to Golden Beach. Red (note photograph left) and green sectors were incorporated in the light. The new light has quickly become ineffective with the increase in height of buildings in Caloundra. 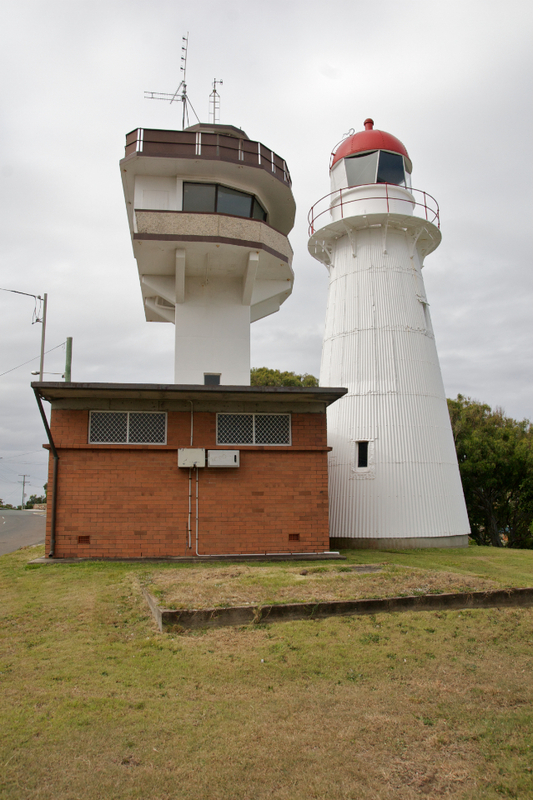 In 1978 a new coastal light was constructed at Point Cartwright, 14 kilometres to the north. To allow further development to proceed, the Harbour light was relocated in 1992 to an unobscured position on top of the “Seapoint” units at Wickham Point, with the original remaining on standby. The light would have been automatic, but the lighthouse still served as a signal station therefore employing signalmen. Tours are available – see the link below to the Friends of Caloundra Lighthouses.